Ben Rector, 7 p.m., $32.50, all ages, House of Blues at Anaheim GardenWalk, 400 W. Disney Way, Anaheim, (714) 778-2583; www.houseofblues.com/anaheim. Big Fun, Golden Ram, Litronix, Little Evil, 8 p.m., $5, 21+, The Wayfarer, 843 W. 19th St., Costa Mesa, (949) 764-0039; www.wayfarercm.com. Big Business, Qui, A Lovely Sort of Death, 8 p.m., $10-$12, 21+, Alex’s Bar, 2913 E. Anaheim St., Long Beach, (562) 434-8292; www.alexsbar.com. Planet Moon Festival 2, 6 p.m., Free, all ages, Garden Amp, 12762 Main St., Garden Grove, (949) 415-8544; gardenamp.com. Flipper, Toys That Kill, Melted, Cat Scan, 8 p.m, $17, 21+, Alex’s Bar, 2913 E. Anaheim St., Long Beach, (562) 434-8292; www.alexsbar.com. Nacho Hernandez Benefit, 8 p.m., $35, all ages, The Observatory, 3503 S. Harbor Blvd., Santa Ana, (714) 957-0600; www.observatoryoc.com. Naked Aggression, Toxic Energy, 5 p.m., $10, Garden Amp (The Locker Room), 12762 Main St., Garden Grove, (949) 415-8544; gardenamp.com. Pacific Dub, Tyrone’s Jacket, Seranation, 8 p.m., $15, all ages, The Constellation Room, 3503 S. Harbor Blvd., Santa Ana, (714) 957-0600; www.observatoryoc.com. Surprise Headliners, The Crowd, Love Canal, The Berzerkers, 8 p.m., $10-$15, 21+, The Wayfarer, 843 W. 19th St., Costa Mesa, (949) 764-0039; www.wayfarercm.com. King Flamingo, The South Hollows, Strawberry Army, Hell is Other People, 8 p.m., $17, 21+, Alex’s Bar, 2913 E. Anaheim St., Long Beach, (562) 434-8292; www.alexsbar.com. 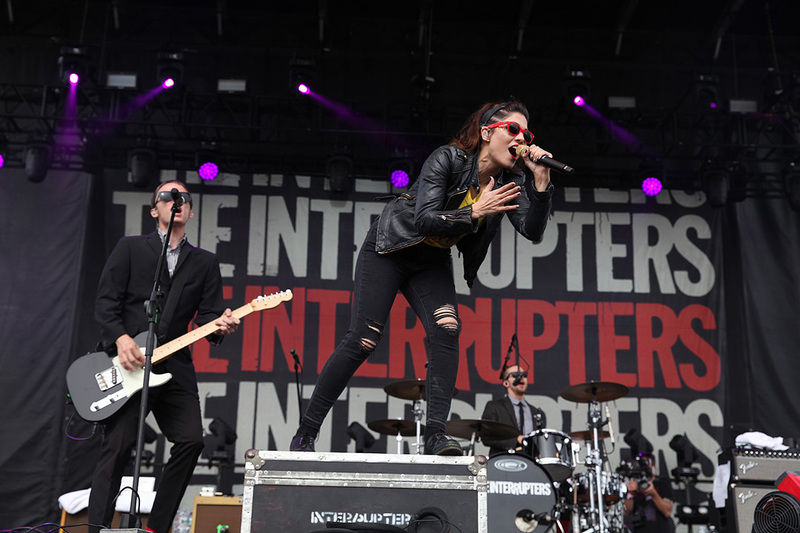 The Interrupters, Masked Intruder, Rat Boy, 8 p.m., $26, all ages, The Observatory, 3503 S. Harbor Blvd., Santa Ana, (714) 957-0600; www.observatoryoc.com. Still Woozy, 8 p.m., $17.50, 21+, La Santa, 220 E. 3rd St., Santa Ana, (657) 231-6005, www.lasantaoc.com. Welfair, Sin ColorIntroverted Funk, 9 p.m., $5, 21+, La Santa, 220 E. 3rd St., Santa Ana, (657) 231-6005, www.lasantaoc.com. Jeskia Von Rabbit, 9 p.m., $10, all ages, The Constellation Room, 3503 S. Harbor Blvd., Santa Ana, (714) 957-0600; www.observatoryoc.com. Kyle Cook, Paul McDonald, 7 p.m., $12-$15, 21+, The Wayfarer, 843 W. 19th St., Costa Mesa, (949) 764-0039; www.wayfarercm.com. Ross From Friends, 9 p.m., $25, 21+, La Santa, 220 E. 3rd St., Santa Ana, (657) 231-6005, www.lasantaoc.com. Rumors: Fleetwood Mac Tribute, 7 p.m., $12-$15, al ages, House of Blues at Anaheim GardenWalk, 400 W. Disney Way, Anaheim, (714) 778-2583; www.houseofblues.com/anaheim. Unknown Mortal Orchestra, 8 p.m., $30-$65, all ages, The Yost Theater, 307 N. Spurgeon St., Santa Ana, www.yosttheater.com. Hub City Trash, Forced Identity, Recoli!, Urethra, 8 p.m., $5, 21+, Alex’s Bar, 2913 E. Anaheim St., Long Beach, (562) 434-8292; www.alexsbar.com. Kirin J Callanan, Rinse&Repeat, Christian Club, 8 p.m., $12, 21+, The Wayfarer, 843 W. 19th St., Costa Mesa, (949) 764-0039; www.wayfarercm.com. Mudd Fest 2019, 7 p.m., $35, all ages, House of Blues at Anaheim GardenWalk, 400 W. Disney Way, Anaheim, (714) 778-2583; www.houseofblues.com/anaheim. Night Beats, Cosmonauts, Blanco Niño, 9 p.m., $15, The Constellation Room, 3503 S. Harbor Blvd., Santa Ana, (714) 957-0600; www.observatoryoc.com.